Indigo Prophet, Inc. (“Company”) has adopted the following general policy toward claims of infringement with respect to intellectual property owned or controlled by third parties in accordance with the Digital Millennium Copyright Act (pdf). The address of Company’s Designated Agent to Receive Notification of Claimed Infringement (“Designated Agent”) is listed at the end of this policy. It is Company’s policy to (1) block access to or remove material that it believes in good faith to be the intellectual property of a third party (e.g., copyrights, trademarks, trade secrets, etc.) that has been illegally copied and distributed by any of our advertisers, affiliates, content providers, members or users; and (2) remove and discontinue service to repeat offenders. 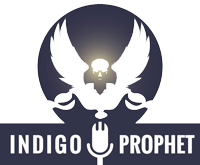 A repeat infringer is a user for whom Indigo Prophet has received more than two notices of claimed infringement or for which Indigo Prophet has had to remove content more than twice. Notwithstanding the preceding sentence, Indigo Prophet reserves the right to immediately terminate the account of any user for egregious infringing activities in Indigo Prophet’s sole determination and discretion. Identification of the material that is claimed to be infringing including information regarding the location of the infringing materials that the intellectual property owner seeks to have removed, with sufficient detail so that Company is capable of finding and verifying its existence;Providing URLs in the body of an email is the best way to help us locate content quickly. Please do not include any information in your report other than the above items. The wonderful thing about the DMCA is that it makes the sordid details of your bass player’s departure completely irrelevant. Simply include the information above and we’ll have all the information we need. If a counter-notice is received by the Designated Agent, Company may send a copy of the counter-notice to the original complaining party informing that person that Company may replace the removed material or cease disabling it in 10 business days. Unless the owner files an action seeking a court order against the content provider, member or user, the removed material may be replaced or access to it restored in 10 to 14 business days or more after receipt of the counter-notice, at Company’s discretion.